During October the chill of the Autumn nights mean it is now too late to be feeding syrup to the bees. 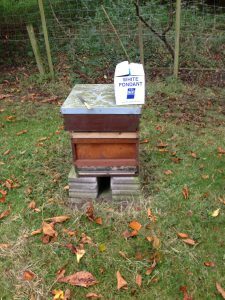 The following advice should help all of those intent on feeding Fondant to your bees as their main winter food or as an additional top up as the winter progresses. Once you have obtained your box of Fondant (local family bakers might be able to help) you will find that inside the cardboard box the Fondant is wrapped in a plastic bag to keep it fresh and moist. 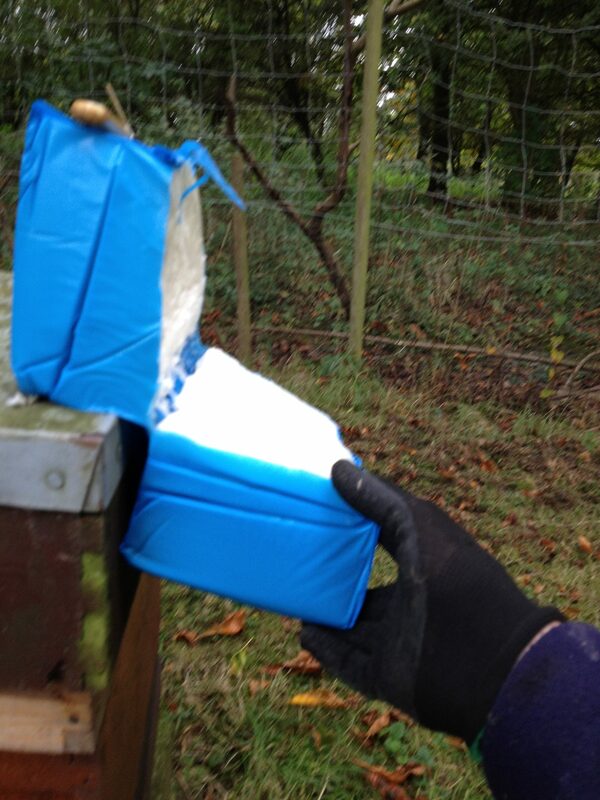 The knack of feeding fondant to the bees is to try and keep it in this state so they can get to it and feed throughout the cold months ahead. Whilst the weather is warm during the day they will take it down and store it in the combs around where the bees will huddle in their winter cluster. 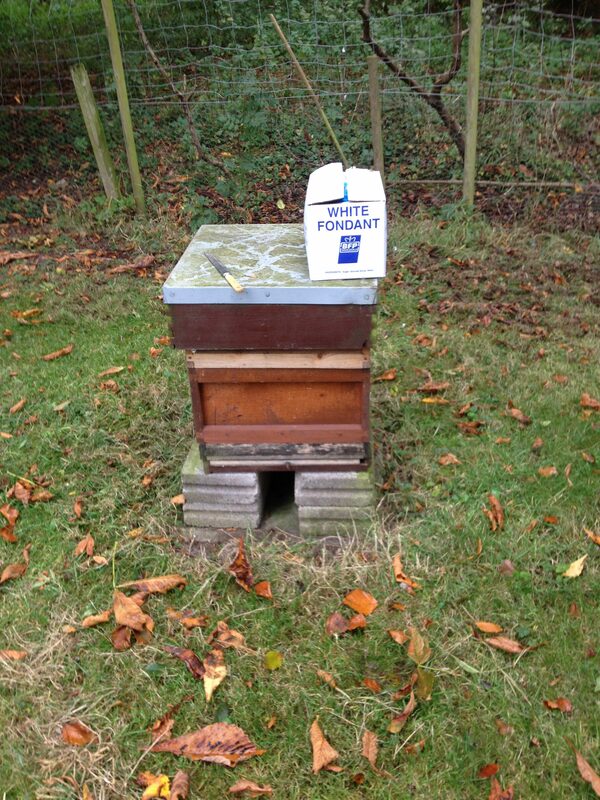 In preparing the hives to feed Fondant please leave on your Queen excluder with an eke or empty super above it…and of course the crown board and roof. The queen excluder is important as it helps prevent the bees from being drowned by liquid Fondant if the temperatures rises. 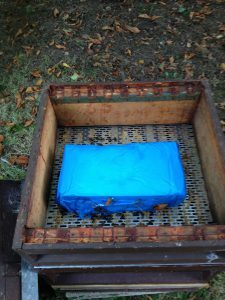 In preparation for putting this feed on the hive please ensure you put a veil on, get your smoker fired up and put on a pair of deposable gloves. 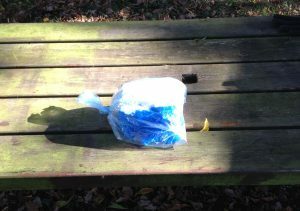 If you don’t the sticky stuff will end up everywhere including the steering wheel if you are working away from home. (more grounds for divorce). Take the Fondant out of the box and rest it on the roof of the hive so about half of it is hanging over the side, then take a serrated bread knife ad cut it in two allowing the weight of the Fondant to keep the cut open and help the process of dissection. 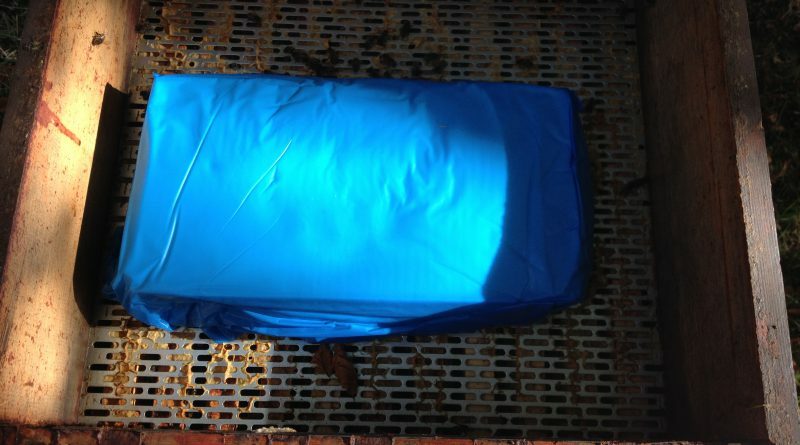 You should now have to halves of Fondant with one wet sticky side which is the face you put on top of the Queen excluder so the bees can come up through to feed on it. Be aware that fondant will attract wasps and hornets at this time of year – they love their sweet fix. That should be job done unless they need a top up later in the winter or early spring. You will now be asking, but how much should I feed? 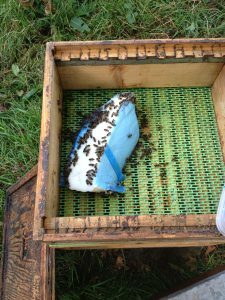 This really depends on the winter stores they have already and the breed of bees you have and the time and access you will have to check the Apiary later in the season. The commercial folk will split a box in two and put the entire lot onto one hive. It fits quite well and I find half a box is a good start and see where we go from there. If you intend to put a small bit on at a time you must try and keep it moist or it will dry out into a solid lump which is no good to man nor Bee. In the past I have used plastic freezer bags which can be prepared in the warmth of home, just saw off a chunk of Fondant from the end of the block pop into into the freezer bag (tie the end)and score the side you intend to put face down the Queen excluder ,away you go to put it on the hives. After reading all of that you might just be tempted to put a block of fondant directly on the hive without wrapping. If you do I can guarantee the bees will not be able to use it all and you will have a hard block of candy to sort out with or without live bees. 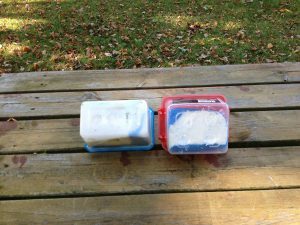 So to finish, a good thing about boxes of Fondant is that if stored properly it will keep for a couple of seasons and you can feed it at any time over the winter months.